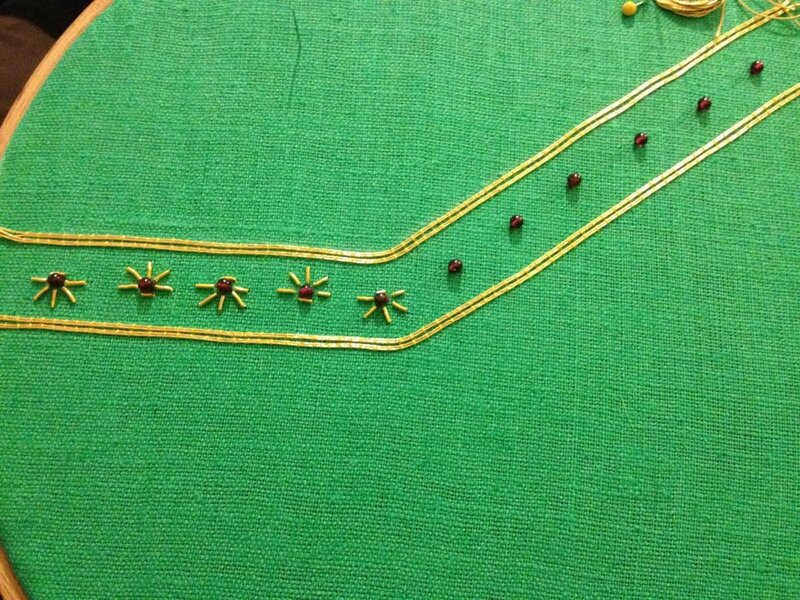 The still-to-be-completed chemise with stem-stich embroidery in green silk. 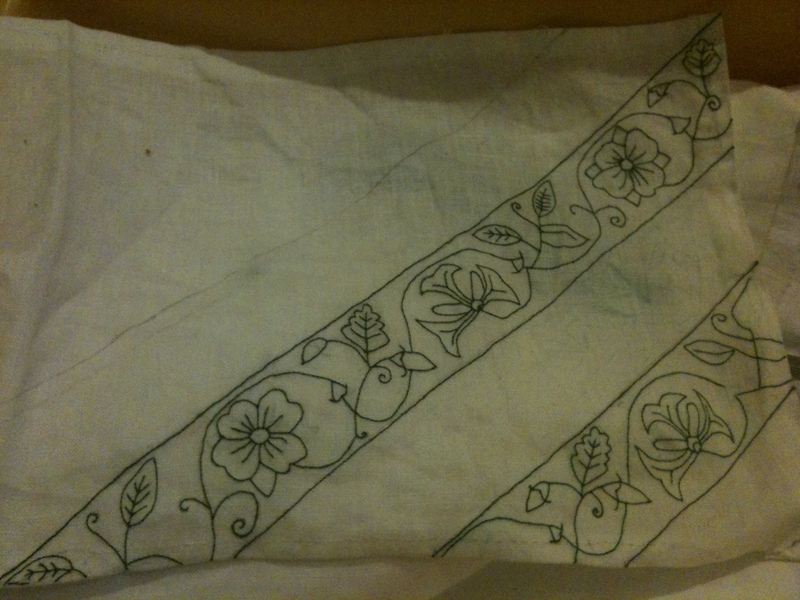 The outline of my silk banner (of my personal heraldy). 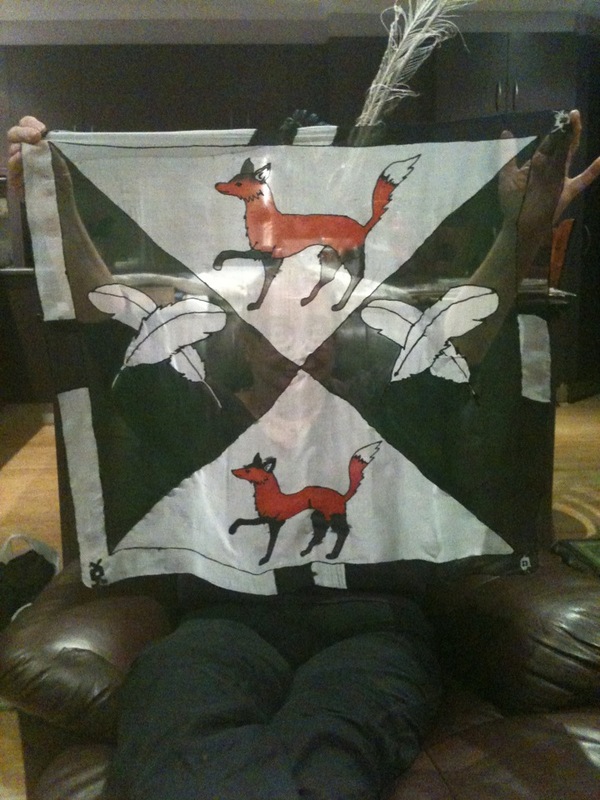 My finished silk banner (in my personal heraldy). 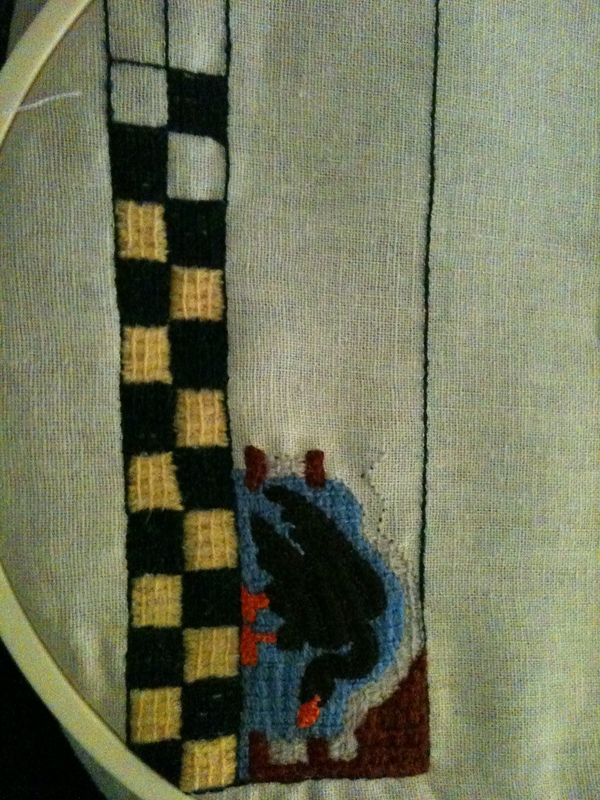 I started making a cuff in a mixture of Bayeaux stitch and Klosterstich (not because it was entirely appropriate, but because I wanted to compare the speed of the stitches). 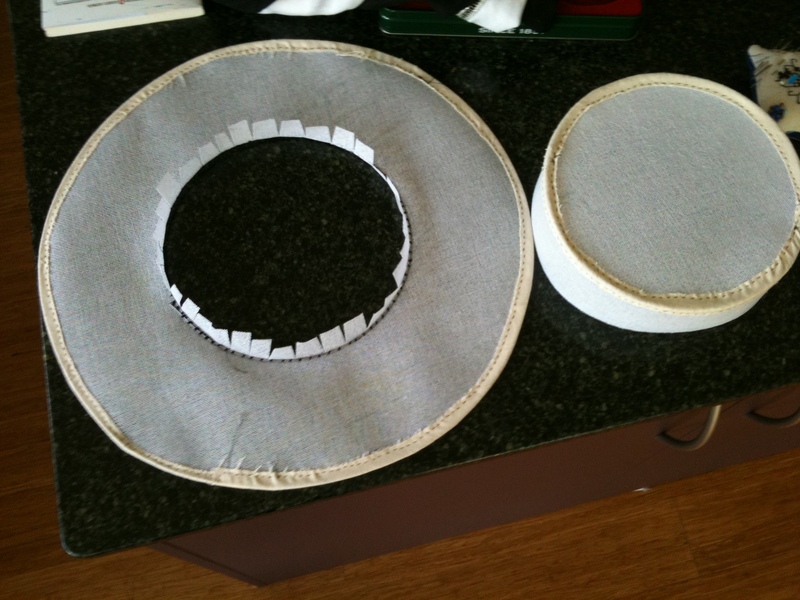 It was going to be for Jattz’s gambeson but I didn’t have the time to finish it… so I ended up cutting the swan panel out and sewing it to a sleeve of the gambeson as my favour. 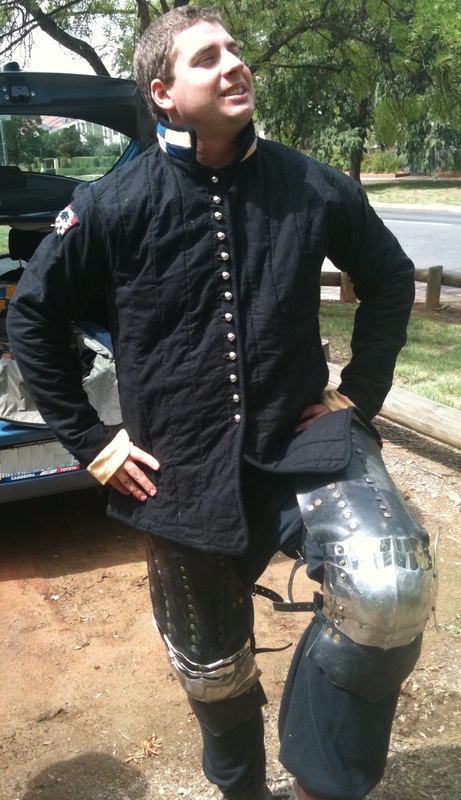 The gambeson I made for one of my consorts (Jattz). 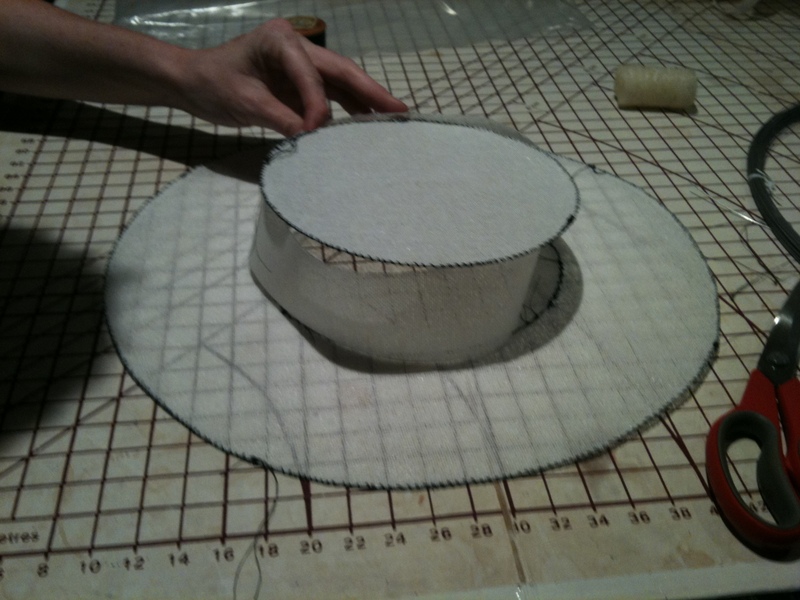 Constructing my Spanish wide-brimmed hat for a 16th century outfit for my black livery dress (as Liveryman to King Gabriel II). 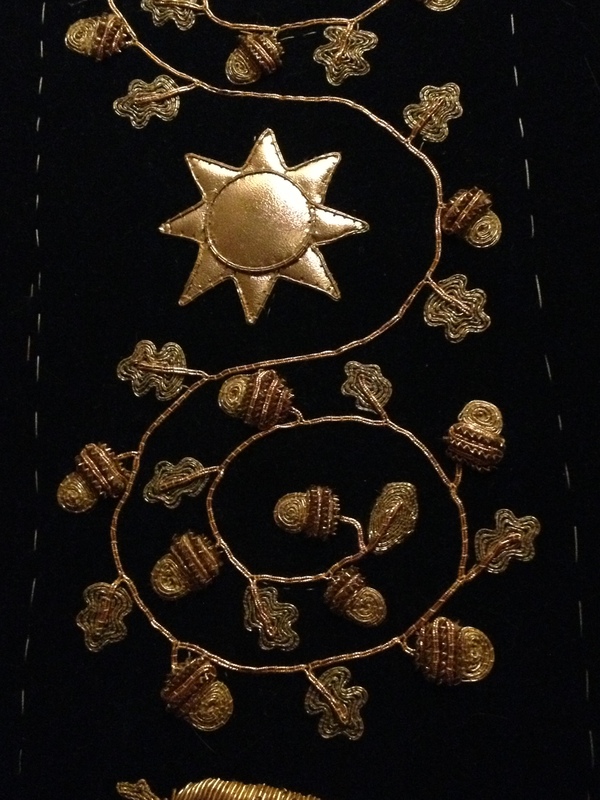 My finished Spanish wide-brimmed hat for a 16th century outfit for my black livery dress (as Liveryman to King Gabriel II). 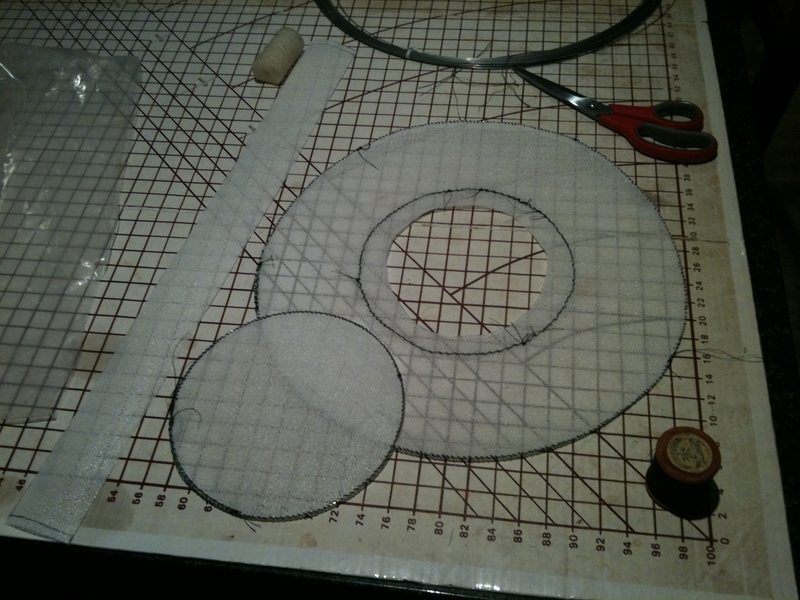 I cast the buttons from pewter, having carved a 3-piece soapstone mould. 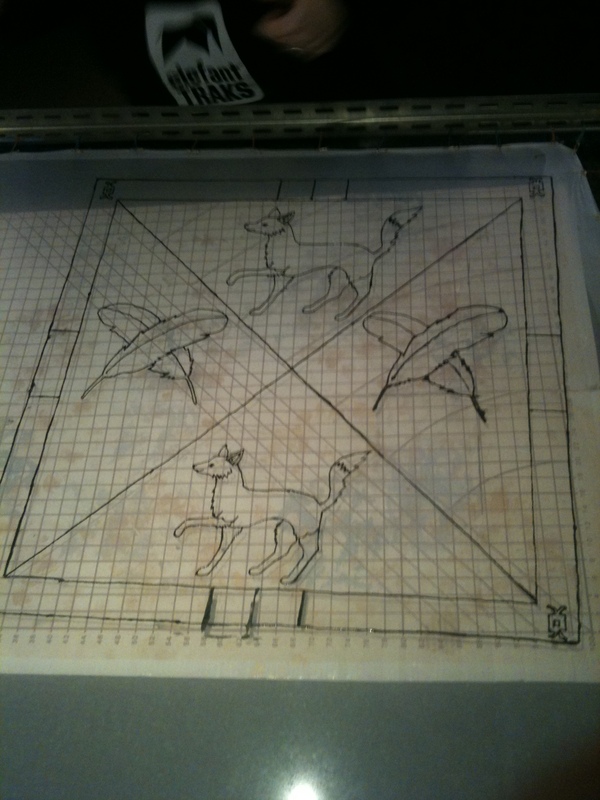 The symbol on it is the mill-rind (the primary charge of House Burbage). 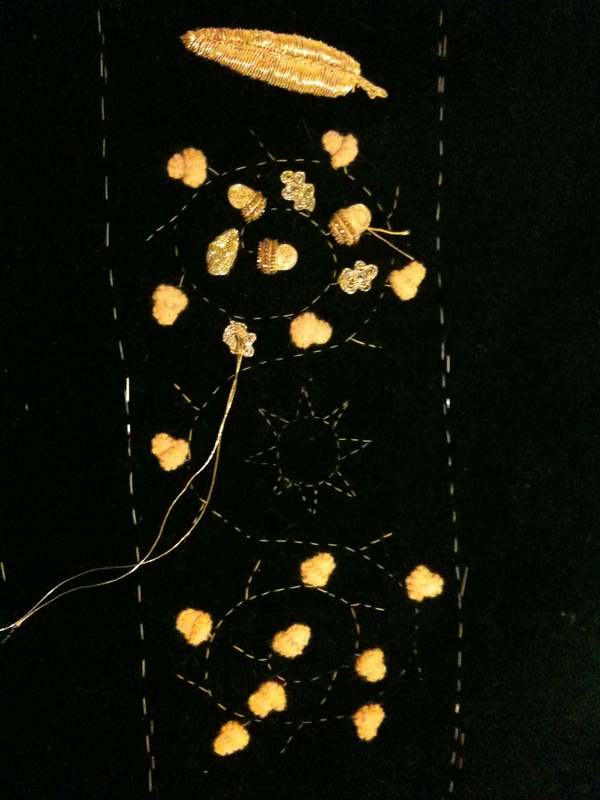 Close up of a section of my embroidery for my dress. 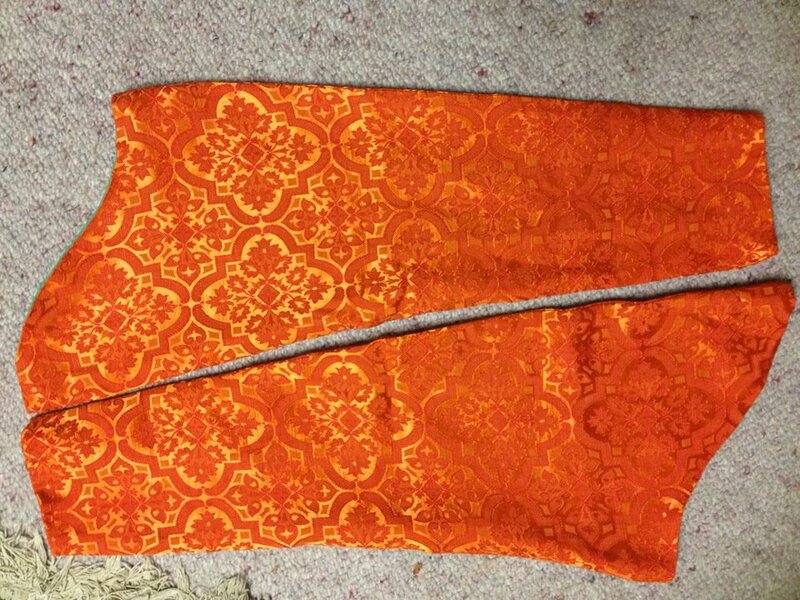 Handsewn brocade sleeves of shiny for my May Crown dress for 2012. 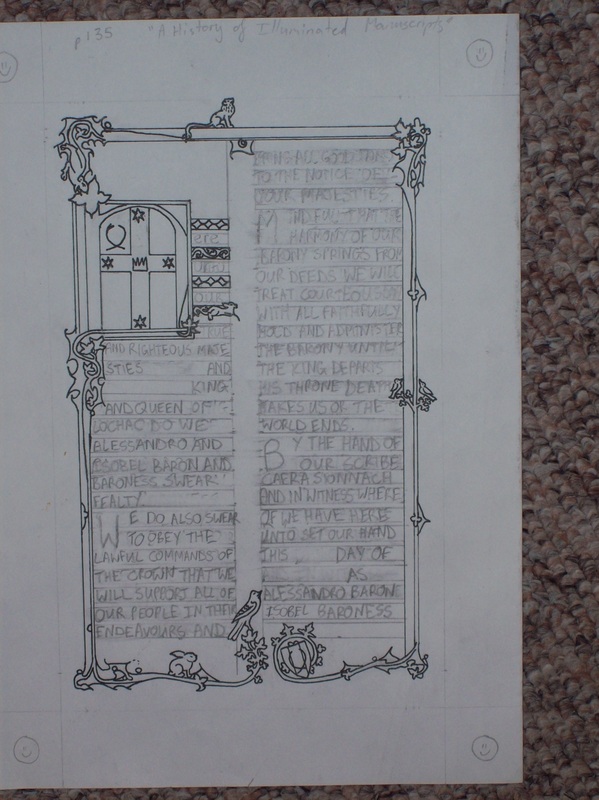 The favour I made for my consort Macca. 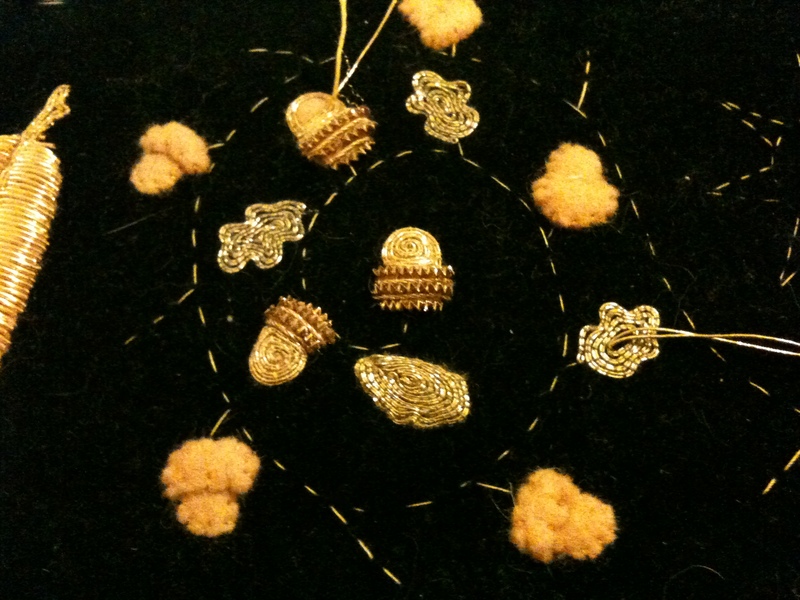 A fox (my primary charge) appliqued and outlined in gold. 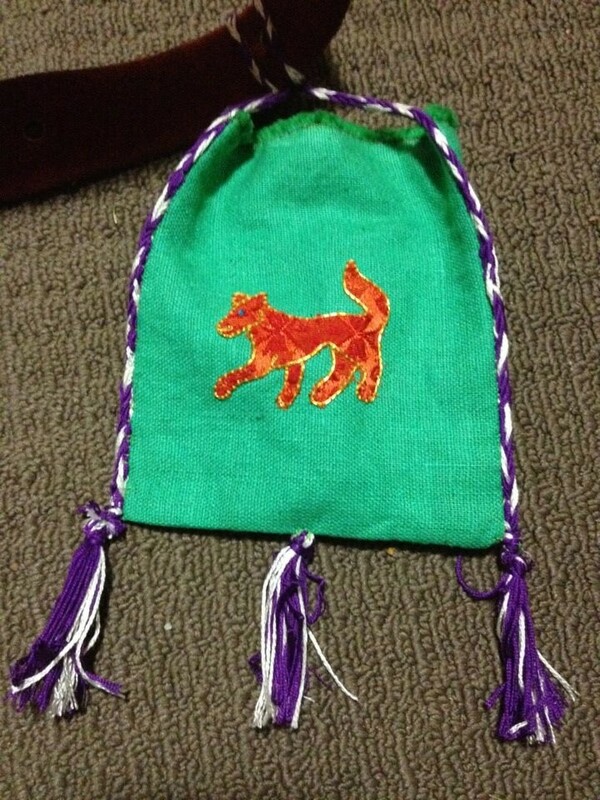 The pouch is linen. 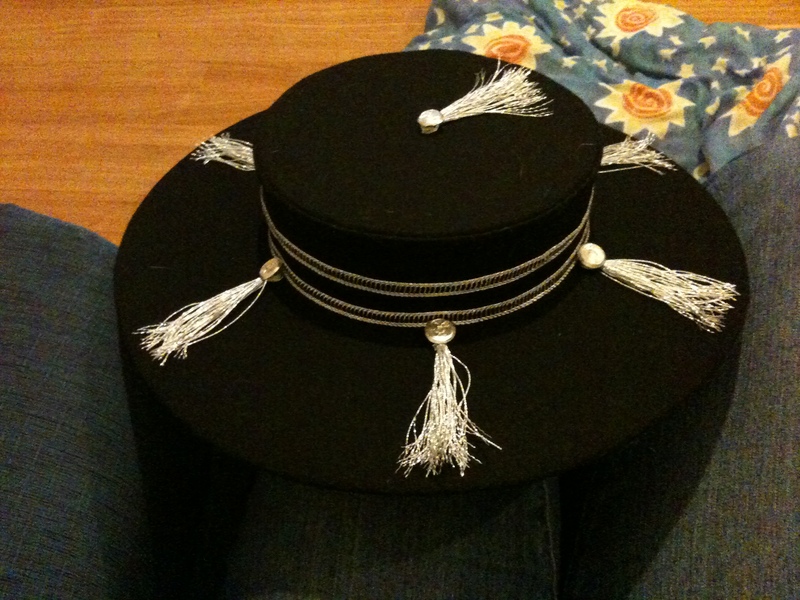 I also made the cords and tassels myself. 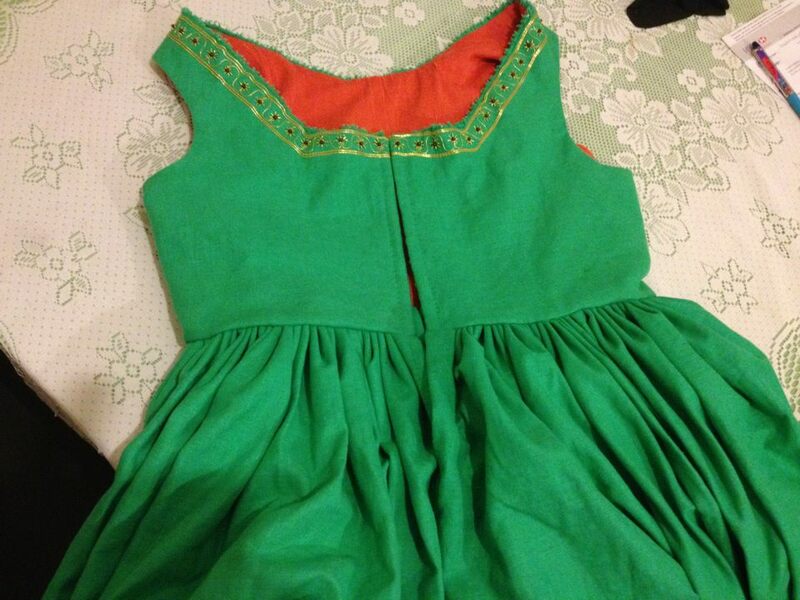 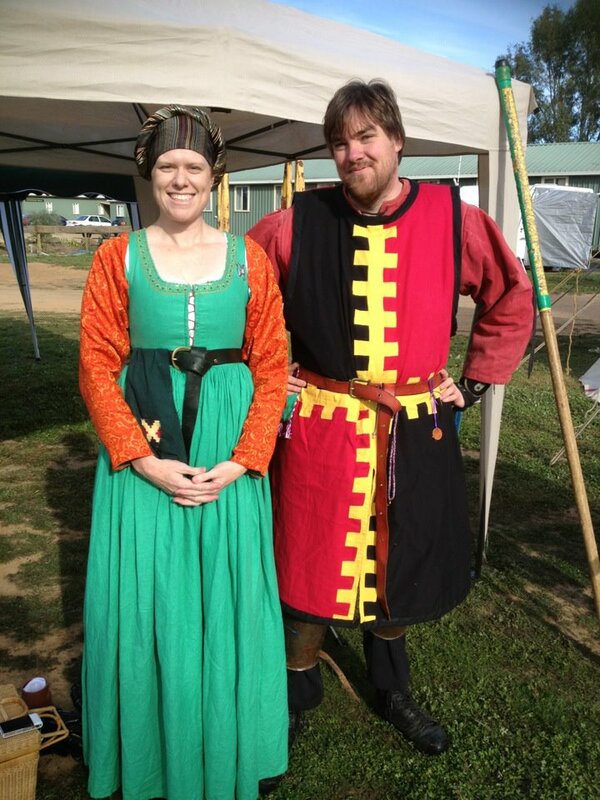 The full May Crown dress that I made for 2012, along with the tabard I made for Macca (my consort). 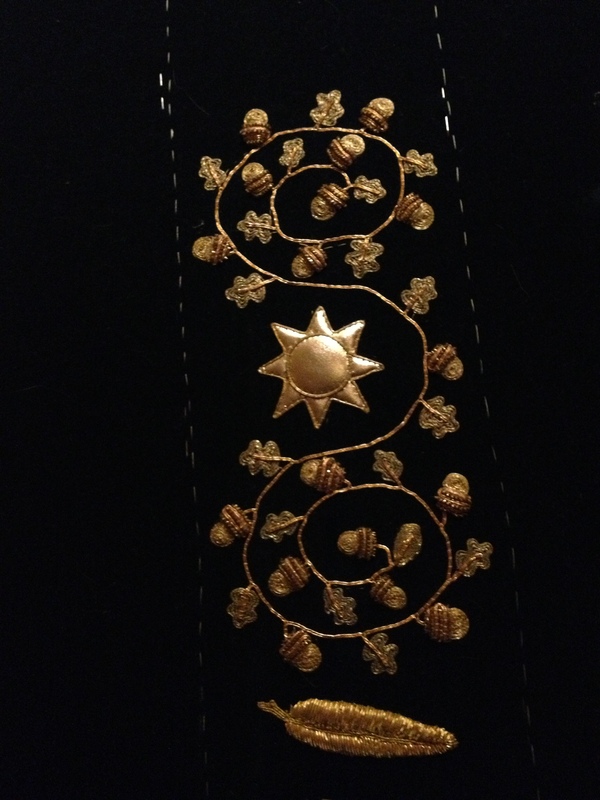 My goldwork sampler apprentice baldric, in progress. 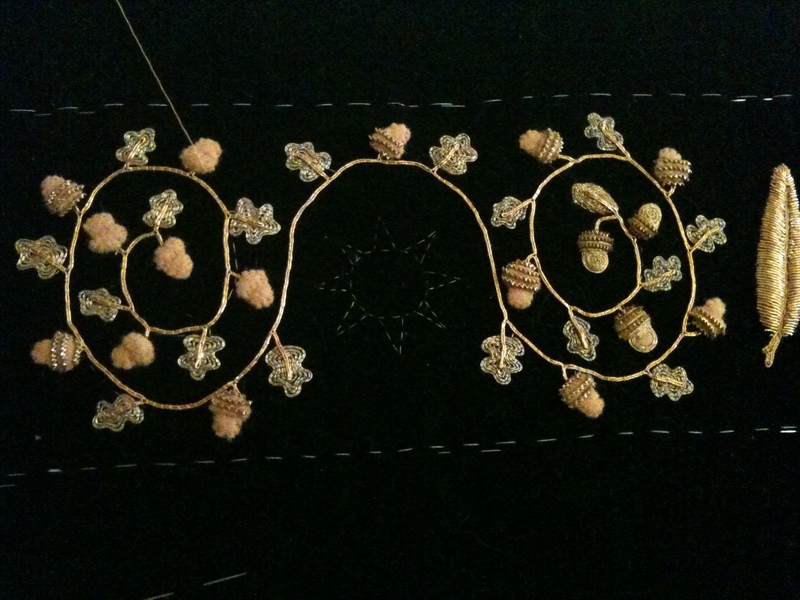 Goldwork sampler baldric. 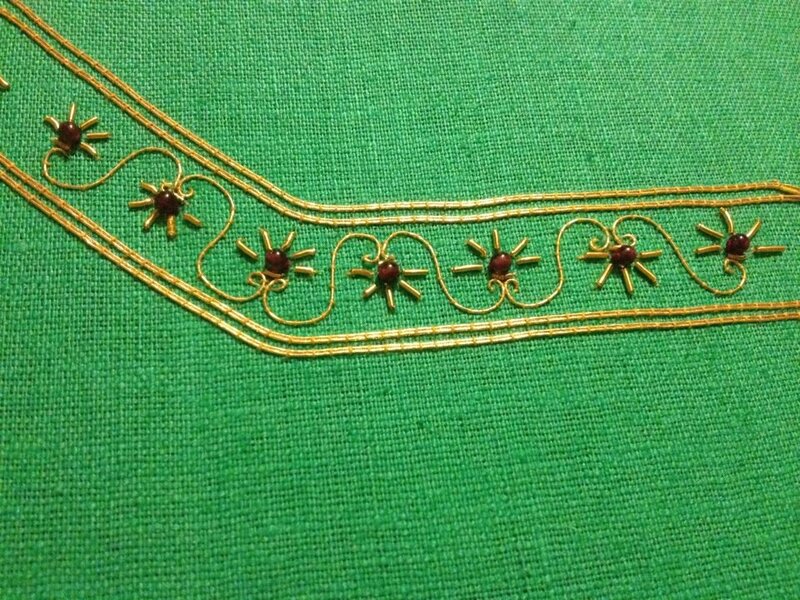 Padded goldwork, gold-gilt goatskin, purl and couching on a green velvet ground.